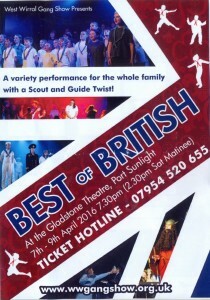 benefit local charity Claire House. Tickets for free ticketed events will be available from the Sailing School (Marine Point) from 12:00pm on the day, on a first come first served basis. Visit us dressed in something ‘seaside themed’, full fancy dress or just something fun to celebrate New Brighton, and receive discounts off food and drink in participating outlets. Have your photograph taken to enter our free competition to win a selection of great prizes. 10/10A New Brighton – Arrowe Park Some changed to route and times. 12/12A Birkenhead – Arrowe Park Service now only operates to Woodchurch so does not serve Arrowe Park Hospital. Some changes to times. 18 Birkenhead – Moreton Service now operates between Moreton and Liverpool city centre. Services to Bootle and Aintree are withdrawn. 22 West Kirby – Chester Changes to route & times. Some buses are renumbered 82A. 49 Crossens – Ainsdale Monday to Friday daytime frequency from every 10 to every 12 minutes. is retimed to leave 4 minutes later at 1749. Platform 2 (Northern line) has now closed for refurbishment, trains for Southport, Ormskirk and Kirkby will not stop at Moorfields station. If you travel on the Northern line from Moorfields towards Southport, Ormskirk or Kirkby, or you travel from Hunts Cross to Moorfields, there are a number of alternative travel options available to you. Please visit merseyrail.org/lovemoorfields for alternative travel information. During busy periods, passengers may be required to queue at Moorfields and Liverpool Central before being allowed on to platforms. On Sunday 24 April, the Liverpool Lime Street to Manchester Piccadilly service will run to a revised timetable as Network Rail will be carrying out work on this line. From Monday 25 to Thursday 28 April, The 2327 Manchester Oxford Road to Liverpool Lime Street service will terminate at Hunts Cross. 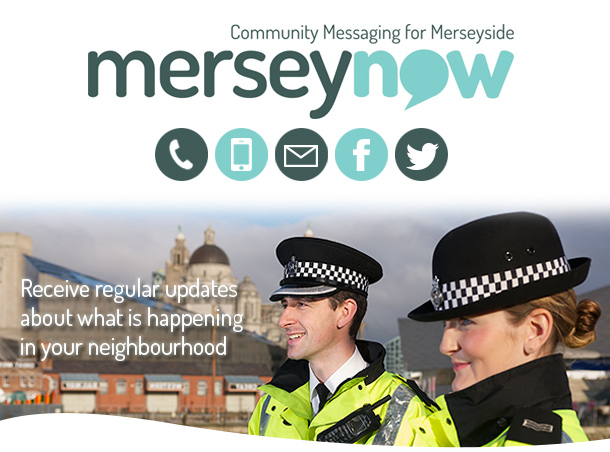 Merseyside Police would like to invite you to join MerseyNow – the new Community Messaging system for Merseyside. Crime prevention, burglaries, anti-social behaviour, vandalism, missing person appeals etc. Phone, email, text message or mobile app (launching soon)! Registering for MerseyNow is Safe, Secure and Easy – Just click on the link below and follow the step by step instructions via the ‘Join’ button. LOCATED IN ST JAMES CHURCH, ALBION STREET DOOR. LOCAL HISTORY TALKS at Earlston Library – all talks start at 2.30 pm. ARE YOU INTERESTED IN BEING ONE OF OUR VOLUNTEERS? The Heritage and Information Centre provides opportunities to delve into the past, find out about the history of New Brighton and surrounding areas. As well as providing information on travel and forthcoming local events. Volunteers will be based in St James Church and will assist or signpost visitors in their search for information. Training on opening and closing procedures. Loading the Lorry. 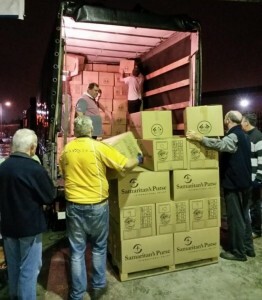 From Wirral to Ukraine, Many, many thanks to the generous people of Wirral Love in many Boxes! who wrapped, packed and donated 10,742 shoeboxes for Operation Christmas Child in 2015. That’s 10,742 happy children for whom Christmas was a time of real joy! 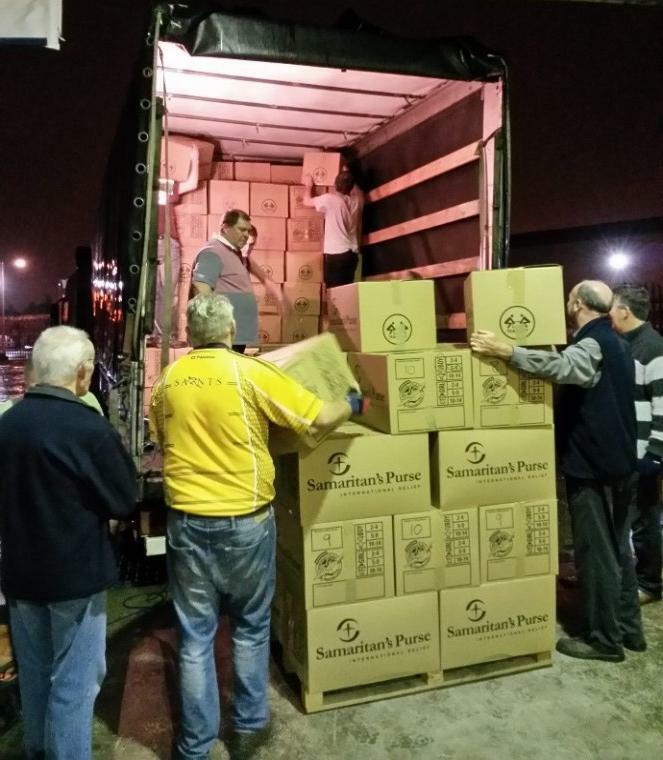 Most of these boxes were taken straight to Ukraine from our Wirral warehouse at North Cheshire Estate. We would very much like to thank Roy Backhouse for arranging the use of a fantastic Warehouse for checking boxes. Thanks also to Biffa for generously cleaning the Warehouse. of those children. Well done to all and thank you from the children whose lives YOU have changed. OCC is the world’s largest children’s Christmas project. “Each shoebox is an unconditional gift, given to a child with nothing asked for, or expected in return; no pledges, no obligation to go to church or attend classes; ‘no strings attached’. These shoebox gifts are an expression of God’s love to us, and the gift of His Son Jesus at Christmas.” (Quote from the OCC web-site). Would you like to get involved this year? It’s never too soon. If you plan to fill a box, why not start collecting items now? Pick up 1 or 2 gifts each month and you will soon find that you have enough to fill a box. Look out for the sales – hats, scarves, and glove sets will soon be coming down in price. Look out for small cuddly animals and other small toys (please make sure these are new or “as new”). You can also visit the OCC Facebook page – where you will find ideas and encouragement. If you would like to know more about OCC on the Wirral, contact me on (OCC_Wirral@outlook.com) or 07955383692; leave a message and I’ll get back to you). up and swindled, but has given as good as he got and has never ceased to expose corruption and wrong-headedness. This has brought him many enemies, but also a few close and lifetime friends. In 1962, Clive Kelly lived by the River Mersey in New Brighton. Here he opened the Witches Cauldron club in some lovely keystone arched cellars just behind the Victoria Hotel (Ringo Starr and Rory Storm helped him decorate it), and later the CubiKlub in Conway Street, Birkenhead, next door to the Majestic Ballroom. He also opened clubs in Preston and surrounding areas. Stars that appeared, many of whom also stayed with Clive, included Rod Stewart, Millie, Donovan, Little Eva, Little Richard (who also baptised Clive in a stream they passed while Clive was taking him to the next venue), Cilla Black (who originally made the coffee and sang for free at Clive’s club) and, of course, The Beatles. Clive befriended Brian Epstein, and later, when Brian became the Beatles manager, was his minder and mentor. Clive was unfortunately being detained at the Queen’s pleasure when Brian Epstein died under mysterious circumstances at the young age of 32. 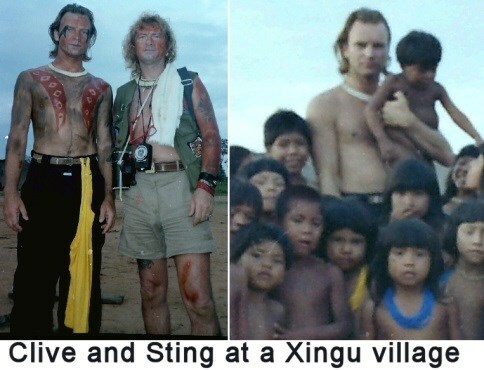 Clive and Sting at a Xingu village. After Brian’s death, Clive lived in London for a time, selling jewellery he made from nails, and there became friends with Freddie Mercury and Lemmy, who were also street traders. In London he met Neridi, and they moved to Brazil, where Clive bought some land and set up the Strawberry Fields club and naturist centre, taking the Beatles sound across the Atlantic to South America. In Brazil he came face to face with the massive corruption there, and the terrible fate of the Indians. He became close to the Xingu tribe, and lived life as an Indian. He produced films, he introduced Sting to the Xingu, he commissioned a triple hulled boat, Survival, and turned it into a floating museum of Indian culture, and sailed the seas and the rivers of Brazil spreading the word. This brought him into serious conflict with the authorities in many places, but despite being imprisoned, attacked (himself and his boat), and beaten he held true to his task and nowadays is campaigning against the dams that are being built in Brazil and flooding the lands where the Xingu and other tribes dwell. He remains outspoken, exposing the true reasons for the construction of the dams, and laying bare the corruption and greed associated with many of the organisations that inflict great hardship on the tribes, and are acting on hidden agendas to exploit the wealth of the Amazon. In the modern world, with all the cheating and misery created by governments and powerful companies, there is a great need for more Clive Kellys. and at www.cktbmm.com, and in The Clive Kelly Story on YouTube. Wirral Archives Service presents a series of free local history workshops at 2 p.m. on the following dates in the Lower Ground Floor Conference Room, adjacent to the Search Room. The history of the homes for mariners and widows, and of the ship owners who founded them. The ships used to train boys to be sailors: the Clarence, Indefatigable, Conway and Akbar. 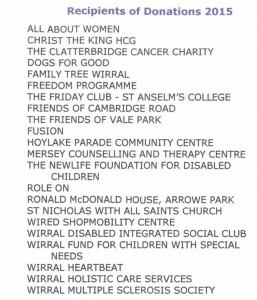 William Meredith, on 0151 606 2929, or e-mail: williammeredith@wirral.gov.uk. premises, including a large, purpose-built strong room. 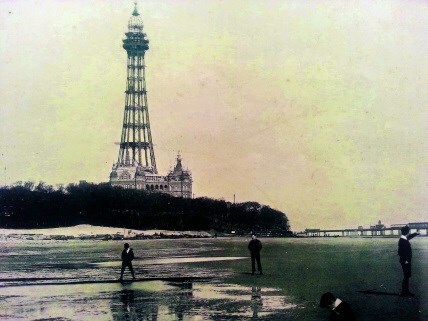 The New Brighton Tower was modelled on the world famous Eiffel Tower. It was an achievement in engineering that attracted people from all over the country aspiring to see the tower rather than visit other resorts. 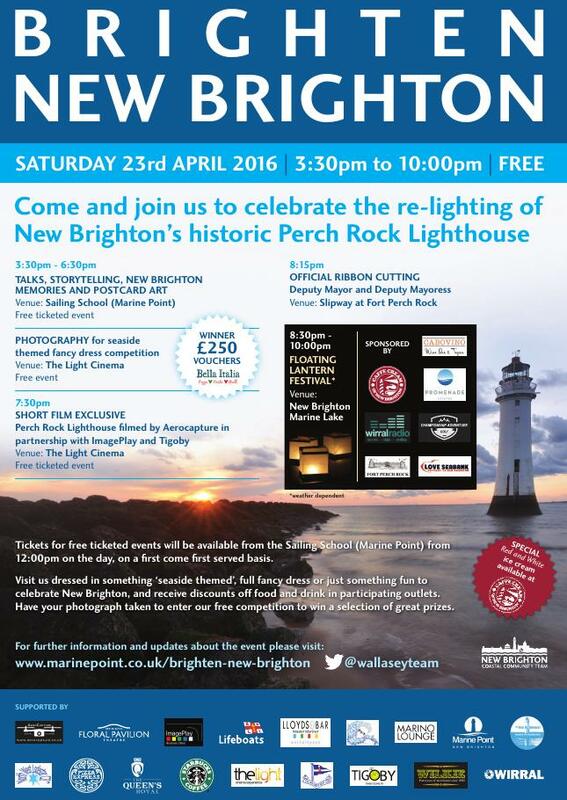 Work began in July 1897 by the New Brighton Tower and Recreation Company Limited, with capital of £300,000. The tower was 562 feet high, with Winter Gardens, , ballroom, refreshment rooms and cycle track – the world cycling championship was held there in 1922. It was made from mild steel, and five workers lost their lives during construction. When completed it was the tallest structure in the UK, and from the top of the tower you could see the Isle of Man, Great Orms Head, and the Welsh mountains.. The Tower was illuminated at night with 30,000 red, green and white fairy lights. Four lifts were used to transport visitors to the top. In 1896, the New Brighton Tower Football Club was formed, and became champions of their league in their first season. Sadly, in 1969 a fire engulfed the tower, and it was dismantled for safety reasons. Are you an organisation looking for premises? Competitive prices; £10 hour; we will beat any price! system for the hard of hearing.. Lunch Club Great meals, great company, great prices. Open to everybody, no booking required. and a 3 course meal is only £4 with a mug of tea or coffee. Credit Union offers people community loans. It meets every Tuesday 10am to 11am. Wirral Pathfinders – Mental Health/Self Help Support Group – every Thursday, 7pm – 9pm. on free travel and searching for jobs. Also scanning documents, photocopying and fax. Police Surgery Monday 10am-12 for problems with anti-social behaviour, etc. Computer Class help with computing including smart phones and tablets. Monday 7– 10pm. Art Classes Monday 1-3pm. Enjoyment rather than talent. Tuition, all materials provided. Details 638 8472. AA – Alcoholics Anonymous – Every Tuesday 11am. per session – Every Friday morning (downstairs) 11.30am – 12.30. New – Slimming World Friday 9am. Wallasey Central Library, based in Earlston Road Wallasey, hosts many regular groups. Rooms are available to hire at £4.50/hour during the day and £5.50/hour during the evening. We have DVD’s, CD’s, and the latest books to loan. If we don’t have one, we can reserve it at a small cost. DAVE CAPENER SAT 9th 10am-12noon Brunanburh – Why the Wirral? The Friends have raised a great deal of money through donated books, coffee mornings and events such as the ‘Japanese Day’ in the past, and been able to buy many items for the library. Below is a List of Films. Tuesday evening films start at 6pm, and Saturday films usually start at 2.30pm. They’re all free, but donations are appreciated. If you are able to help at any event, please just come along. New Brighton Primary School was a hive of double, double toil and trouble at the start of term as our Year Fives and Sixes got ready for our first appearance in the Shakespeare Schools Festival. With Mrs Culshaw at the helm, every member of the cast rose admirably to the challenge of performing Macbeth in front of several packed audiences at the Floral Pavilion. My name is Stuart McIver. I am very pleased to introduce myself to you as the new Neighbourhood Inspector for Wallasey Neighbourhood. 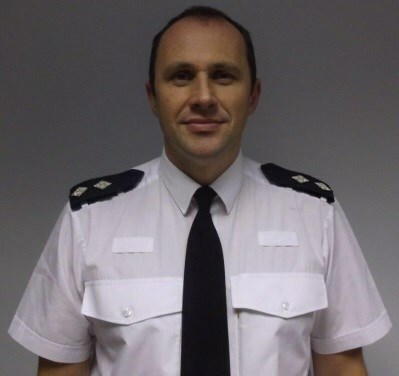 Based at Manor Road police station in Wallasey, I am responsible for policing in the wards of Leasowe & Moreton East, Liscard & Egremont, New Brighton, Seacombe, Moreton West & Saughall Massie, and Wallasey. My team will consists of two Sergeants, six Constables and nineteen Police Community Support & Traffic Officers who are supported by Special Constables and Community Volunteers who give up their time freely to work alongside regular officers throughout the week. I am in my 19th year as a Merseyside Police Officer; I have been posted to frontline policing across the force at many stations such as Tuebrook, Walton Lane and St Helens. 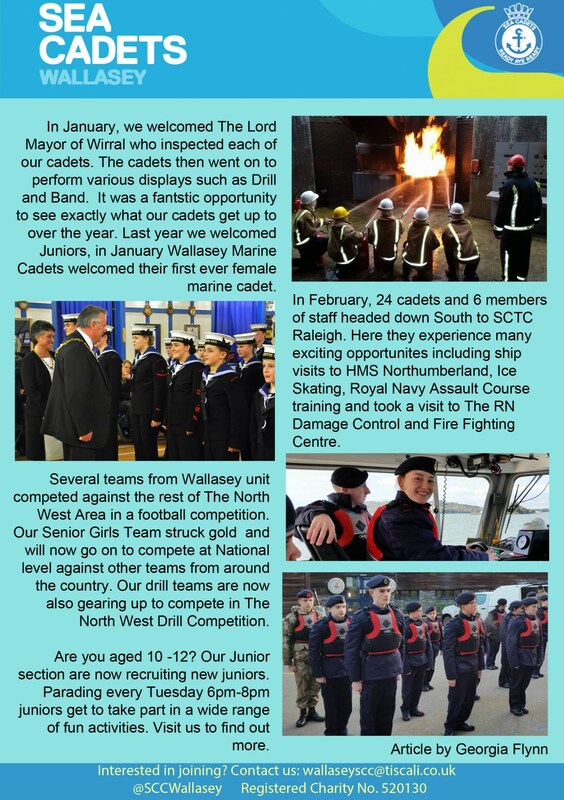 My most recent posting being one of the Sergeants responsible for policing at Wallasey Neighbourhood. There is an increase in theft of cars and motorcycles and from unattended vehicles. In some cases vehicles are being left unlocked on driveways. In other cases thieves are targeting vehicles parked unattended with property and personal belongings on display. Please ensure that when you leave your car all items of value are removed. A number of cars have been taken from driveways whilst the occupiers were asleep. Thieves have simply entered the property via an insecure front door or used an implement to reach through the letter box on UPVC doors and ‘hook’ the keys located nearby. If you have UPVC doors make sure you always double lock them. Keep your keys in a safe place, out of sight. We are launching a new invigorated Neighbourhood Watch. If you are interested and feel your community would benefit, please contact the Neighbourhood Team. We work hard with other partner agencies to tackle issues identified by you and set our priorities at local ‘Have Your Say’ meetings. At each meeting local issues are discussed, together with local neighbourhood survey results and feedback from the community. Why not get involved? Please come along to your local meeting and ‘Have Your Say’. 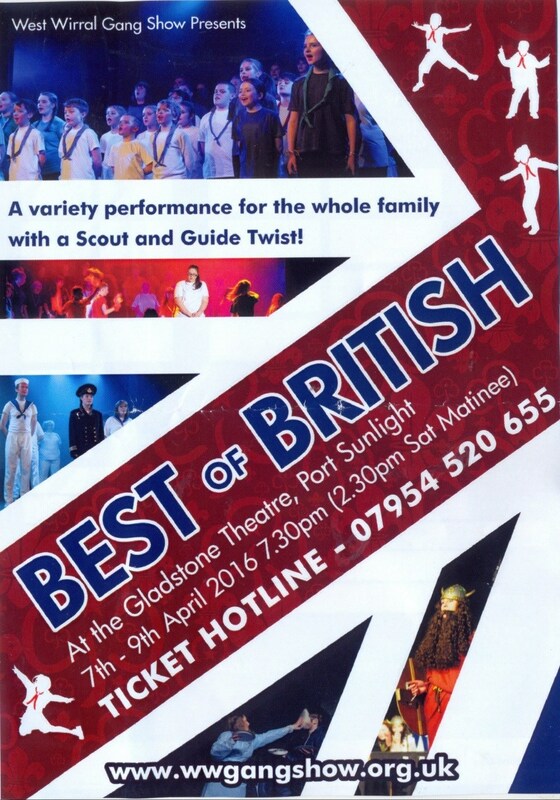 The next is from 4 to 6pm on Thursday 14th April at Wallasey Town Hall. Finally, please tell us about any issues that are important to you so we can act on them and help to make our communities safe. To speak to your local Neighbourhood team or make an appointment, please call 101 – the non-emergency telephone number. 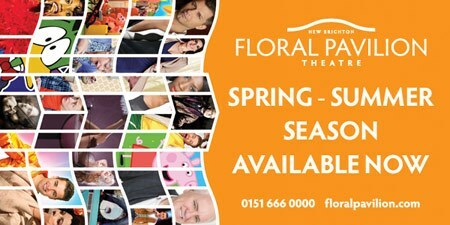 Alternatively visit www.merseyside.police.uk for details of a local police surgery. Or you can call Crimestoppers anonymously on 0800 555 111. This is a national charity independent of the police. You won’t be asked your name, just what you know. Wallasey Neighbourhood regularly use twitter and local PCSO’s provide advice and updates on local crimes and Neighbourhood initiatives which you can follow on @MerPolWallasey. The figures below give an impression of our Charity Post, though they hardly scratch the surface in terms of the tremendous amount of hard work put in by so many people to make our scheme the success it undoubtedly is. It is said you can make ‘statistics’ tell any story you want, but we are content to let the fact and figures below tell their own story. One fact that clearly emerges is the extent of charity work carried out by so many people on this peninsula of ours. our Presentation Evening, it is practiced to impressive effect by many other organisations. 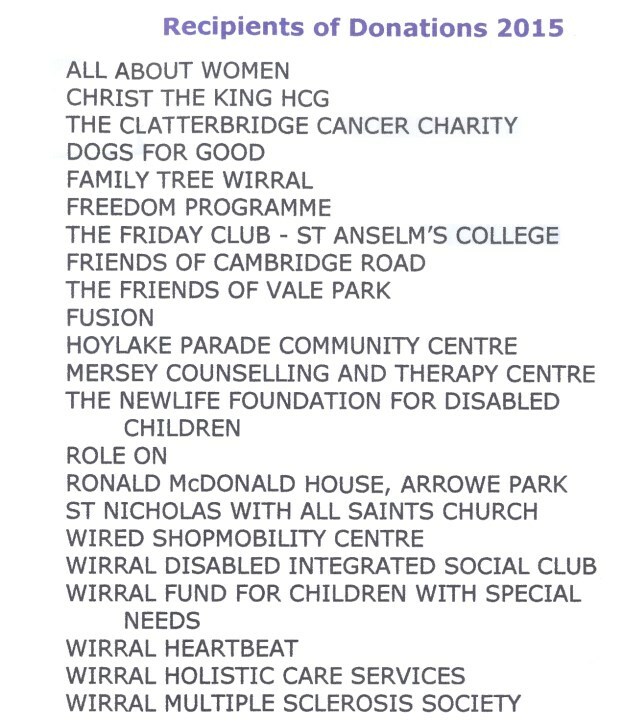 We consider it a great privilege to be able to provide some financial help and encouragement to all this excellent service in our community, and are proud that we have been able to assist other Wirral charities to the extent of over £597,000 during the past 33 years. Over 80 families attended two Come and See mathematics sessions. They were a fantastic success. It was a wonderful opportunity for parents to see their children learning in class, and there was a presentation in the school hall by Mr Cassidy on the way maths was taught. Feedback from the parents included: “Wow, I didn’t realise how much our children learn in a session”, and “We really have learned a lot. We will feel more confident helping our child now”. In our annual Week for Change the whole school works together to learn about how UNICEF supports children’s rights across the world. UNICEF’s theme this year is ‘Every Child in Danger’. This is an important part of our annual calendar and helps our children to understand the challenges that many families face across the world on a daily basis, and how children and families cope with the challenges of conflict and natural disasters. Last year our hovercraft was launched 15 times and our lifeboat 18 times, with 20 people rescued between them. The year ended with our hovercraft H-005 damaged on the rocks by New Brighton marine lake following the successful rescue of a person. It has been sent off for repair, and meanwhile we are operating with H-006, one of the RNLI’s reserve fleet. We rescued a golden retriever named Ben who slipped his lead and went for a swim in Leasowe Bay at the start of the year, and in early February a yachtsman suffering from severe sea sickness. Details on our website. Those of you who have passed the lifeboat station recently may have noticed the installation of a yellow box on our wall alongside our noticeboard. 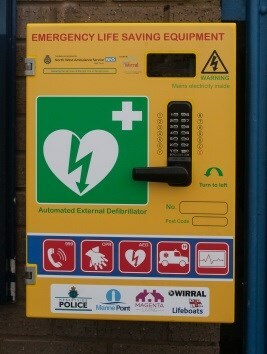 This contains a defibrillator for use by anyone assisting someone who has had a sudden cardiac arrest [heart attack], while awaiting the emergency services. It’s easy to use – to access phone 999, explain where you are and they will give a code to access the box. Anyone who volunteers for the RNLI goes through an extensive training programme, much of it carried out on-site by our own experienced crew. To complement our normal in-house training during February, there was further training for prospective helmsman and tractor drivers using RNLI Trainers from our Poole HQ. So if you have seen our tractor doing all sorts of different activities on the beach now you know why. when they go to sea. Spring will soon be here, if you are planning to go to sea, do the checkups now to make sure your craft and equipment are in tip top condition to face the elements – everything from your lifejacket to your spare engine. Take a look at the Sea Safety pages on our website for some memory joggers. I know there are places in this green and pleasant but rather muddy land that have had rain every day for the last three months. 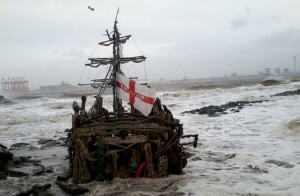 Not quite so bad here in sunny New Brighton but we have had a storm or two to test the Black Pearl’s moorings. The storm that worried me the most was the one called Frank – not because it was forecast to be the worst storm, just the thought of reading, “Frank trashes the Black Pearl!” The old girl has survived and only got her feet wet – I’m writing this at a silly hour of the morning of 12th February and she hasn’t gone yet! Many thanks to all the folks who have been down on the prom Pearl Watching through the many wild, wet and windy days, and nights, over these past weeks. I guess that several thousand pics were taken and we could probably mount a whole exhibition of fabulous photos of wild waves, flying spray and scary wave-dodging beneath menacing wind-torn skies! I hope you all found it as exhilarating as we did. The New Year party on the Pearl was great! Thanks for the fireworks and to all you party-goers, we hope you enjoyed yourselves and if you can remember it perhaps you could tell me what happened sometime. Have a feeling I might have made some resolutions and would love to know what they were. Great things are expected in 2016 – but all entirely unplanned! I can guarantee that there will be many wonderful family days on the Pearl and around Cosy Cove throughout the year. We suspect that the folks north of the border might stage another attempt to capture the Black Pearl and sail her back to Kirkcudbright. Admire the ambition. And good luck! It seems inevitable that the rascally Redcoats at Fort Perch Rock will need to be taught a lesson, or several. No matter how much gold and jewellery we stash in the Pearl’s treasure chest – it just keeps vanishing! But we know where it’s going! I do hope the storms are going to leave us alone for a while, but we have been rattling through the alphabet with storm names. I think we really ought to have a storm called Major …… Storm Norman to follow, perhaps? And later when there’s an Aaaaaaarrrggh! in the month it’s just got to be Storm Rusty! I’m pushing it here Rusty – but I know you can take it. another rope, another knot, another nail, another word, another thought, another day – and that is how we will all get through – that next inevitable storm! 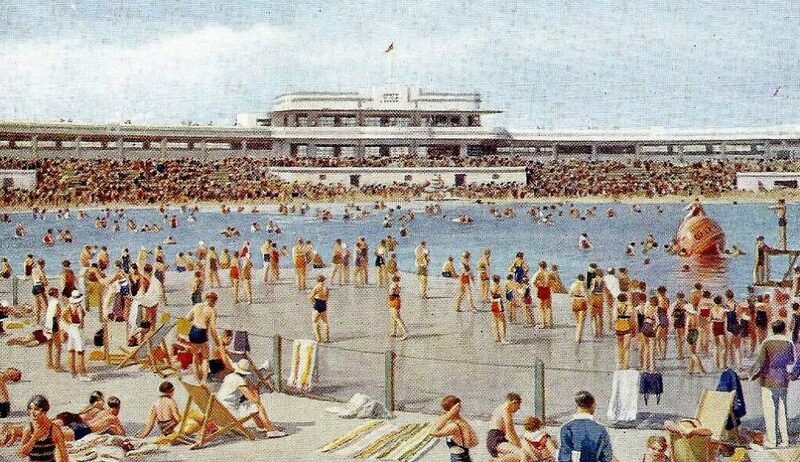 … The economic plan for New Brighton is aimed at attracting even more day trippers, overnight stays and increasing employment. 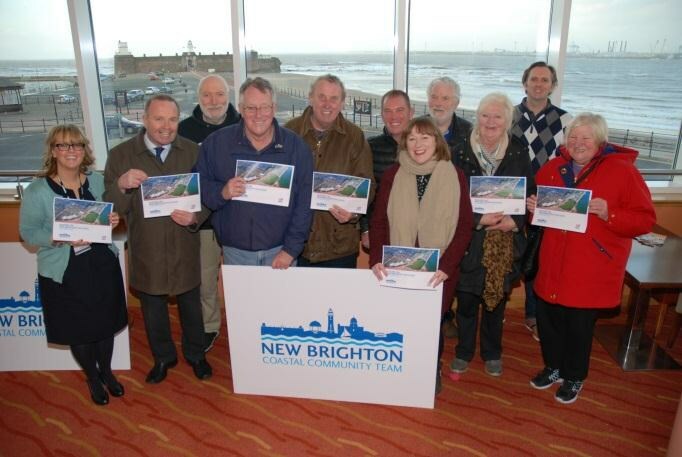 The Plan includes a variety of exciting new initiatives for New Brighton and the vision to attract large scale developments. It includes plans for developing an annual events programme and bringing life back to Marine Lake. The plan also sets out the ambition to attract new hotel accommodation, the potential for a new outdoor gym and the creation of an art trail. for Communities and Local Government. The Coastal Community Team is off to a running start with early successes, including the funding grant from central government to light Perch Rock lighthouse, taking place in March 2016. There is a wealth of experience and expertise within the Coastal Community Team, including UK’s Best Café 2014; Wirral Volunteer Team of the Year 2015 and Wirral Family Friendly Business 2015. Delivery of the plan will be led by New Brighton Coastal Community Team whose work can be followed on Twitter @wallaseyteam. 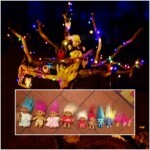 The harsh winter weather has not discouraged fairies and elves of all ages from visiting the driftwood fairy vale. Even on the coldest of days from early morning until dusk you can hear excited voices and the patter of many feet as they scurry about in search of Tinker bell and her friends. A family visiting the fairy vale and the Black Pearl from London expressed their disappointment to the guardian as ‘there were no seats left in or outside Vale Park cafe for a warming hot chocolate’. If the popularity of the pirates and fairies continue to grow an extension to the cafe might be required! However the wet conditions have taken a toll on the fairy vale. There is lots and lots of work to be carried out, and the guardians are now busy repairing the fixtures and fittings. The troll family has grown and will soon be moving in on a permanent basis. 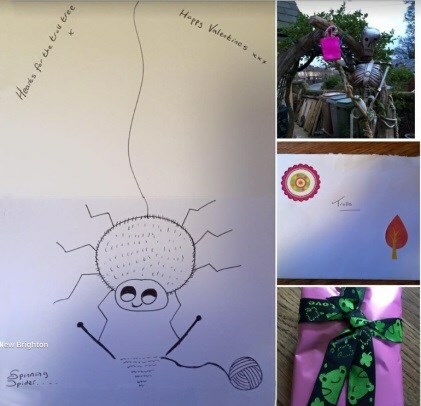 For Valentine’s Day ‘The spinning Spider’ made the trolls beautiful knitted hearts which hang brightly on the Troll tree, and colourful lights have been installed to mark the occasion. Many trees have been felled in the park, and not wanting to miss out on an opportunity the guardian asked for one of stumps to be left in position, and plans for a new fairy residence are afoot to include a ‘Drift Inn’. As stated on a previous occasion the inspiration for our fairy vale came from Swan Park in a town called Buncranna, in Donegal, Ireland. Situated in this town is a ‘Drift Inn’. The guardian intends to make a replica of our Drift Inn door to be given to our Irish fairy cousins of Swan Park. We all look forward to the warmer weather, picnics with the fairy folk and long days to enjoy the fabulous surroundings the Black Pearl and the Driftwood Fairy Vale are fortunate to be located in. We wish you happy days…. from the guardians of the fairy vale.